products etc. at very high production speeds. bottom bags, starting from reels of flexible film. 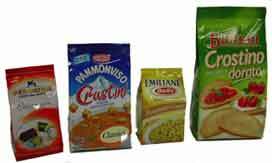 High speed reliable packaging system. driven by brushless independent motors. Plane surface for reel manual splicing. Machine stop device for film breakage. 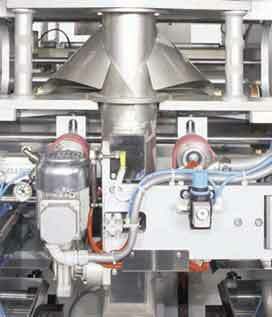 Vertical sealer operated by air blast. Powered product unloading timing shutter. with side bellows or flat bottom bags. Group for automatic reel change. 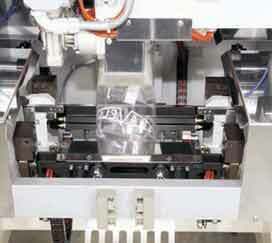 Vertical sealer of the rotating metal plate type. Remote control through modem via Internet. 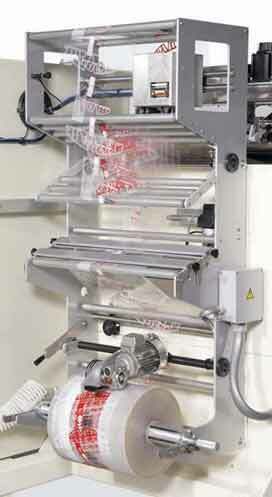 SVMC High Speed bagging machine. 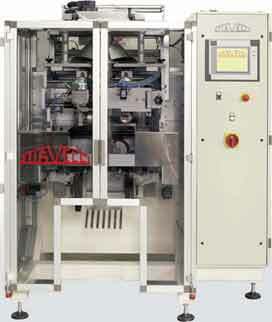 SVMC Stiavelli VFFS bagging machine.